• the ultra-dreaded blood-meal bugs. They deliver to readers charmingly practical images and information in regard to fireflies and defensively useful prescriptions and proscriptions in terms of mosquitoes. adults mating as buzzing females with dancing males, sipping fruit and nectar sugars, and taking amino acid-rich blood-meal (preferentially livestock and specially sheep). All three genera go foraging at dawn and dusk. Staphylococcus epidermidis colonies: hardy microorganism numbers among normal human microflora, especially skin, and attracts mosquitoes. 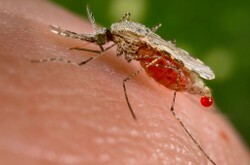 Anopheles lie parallel to surfaces for abdominal tube-breathing. Culex’s encephalitis, West Nile Virus. Mosquitoes shy away from sweet wormwood; break off a leaf from the plant and rub on skin for immediate effectiveness. Lora Westberg, book and cover design. Everyone's had a summer evening ruined by mosquitoes. This book can help prevent that from happening again! an extract from the tree's leaves and twigs serves as an effective repellent and a natural alternative to chemical products such as DEET. Ortler, Brett. 2014. 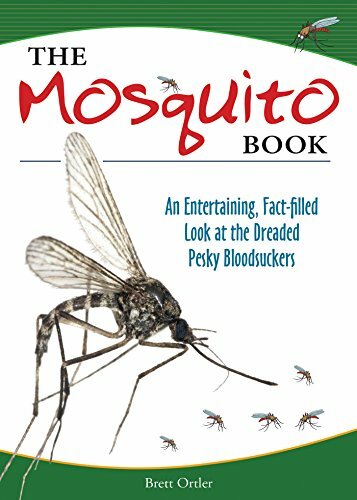 The Mosquito Book: An Entertaining, Fact-filled Look at the Dreaded Pesky Bloodsuckers. Cambridge, MN: Adventure Publications, Inc.
DEET (N,N-diethyl-meta-toluamide), developed by U.S. Army in 1946, is an effective chemical repellent which blocks insects' olfactory receptors and also exudes an odor which mosquitoes dislike. Health issues such as insomnia, mood swings, seizures, and skin irritations may be experienced via products with concentrations of DEET well in excess of 30%. Mira, I hope that a Wizzley article will follow from whenever you visit the Danube Delta! No, I don't know what they're using. The Danube Delta is a reservation of biosphere, so I imagine they're careful with what they're using. I do think though that people still carry mosquito sprays when they go. I haven't been there since I was a kid. I do plan to go in the near future though. Mira, It's probably some form of cosmic justice that so many pests can be discouraged or eliminated by what they apparently perceive as unappealing colors and unpleasant scents! Do you know what has been used if the Danube Delta is having less or no mosquito problems? So mosquitoes have favorite colors? Never thought about it. And it's too bad that the range is so big. So lemon eucalyptus oil works to repel mosquitoes. Good to know. We have the Danube Delta over here and mosquitoes there are (or used to be) a big problem.